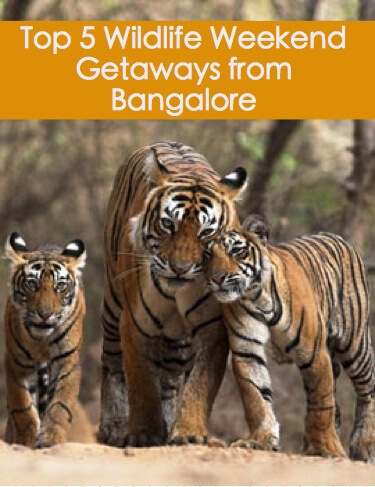 Top 5 Wildlife Weekend getaways from Bangalore! The Maharaja of the Kingdom of Mysore created a sanctuary of 90 km2 (35 sq mi) in 1931 and named it the Venugopala Wildlife Park. 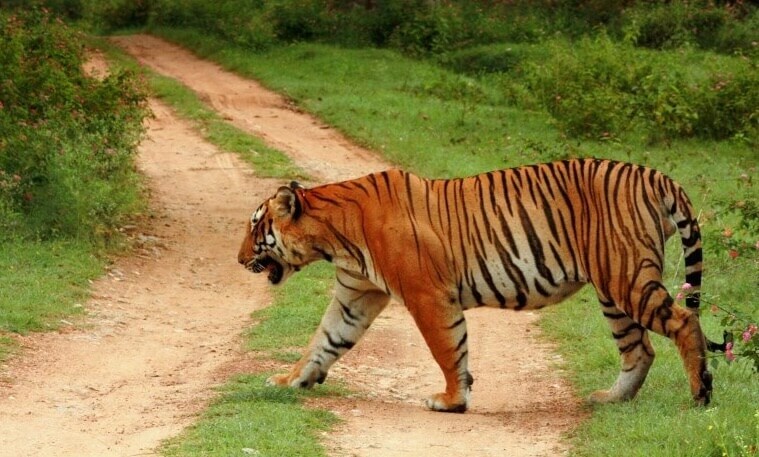 The Bandipur Tiger Reserve was established under Project Tiger in 1973 by adding nearly 800 km2 (310 sq mi) to the Venugopala Wildlife park. Bandipur National Park located where the Deccan Plateau meets the Western Ghats and the altitude of the park ranges from 680 meters (2,230 ft) to 1,454 meters (4,770 ft). As a result, the park has a variety of biomes including dry deciduous forests, moist deciduous forests and shrublands. The wide range of habitats help support a diverse range of organisms. The park is flanked by the Kabini river in the north and the Moyar river in the south. The Nugu river runs through the park. The highest point in the park is on a hill called Himavad Gopalaswamy Betta, where there is a Hindu temple at the summit. Bandipur has typical tropical climate with distinct wet and dry seasons. The dry and hot period usually begins in early March and can last till the arrival of the monsoon rains in June. Reptiles: spectacled cobra, Indian rock python, viper, rat snake, muggers, monitor lizards, Indian chameleon, Indian pond terrapin, agamids and flying lizards. How to get there (driving directions) : Bangalore to Mysore Ring Road, Take a right onto Ring Road and take the Nanjungud exit, to Gundlupet and to Bandipur NP. Nagarhole is named after Nagarhole (Cobra river in the local language, Kannada), a winding river which runs eastwards through its centre. Situated in the two districts of Mysore and Kodagu in the state of Karnataka. It was originally constituted into a sanctuary in the year 1955 covering an area of 258 sq. Kms and subsequently enlarged to include the adjoining areas of Mysore district and now extends over an area of 643.39 sq. kms which was given the status of a National Park in 1983. 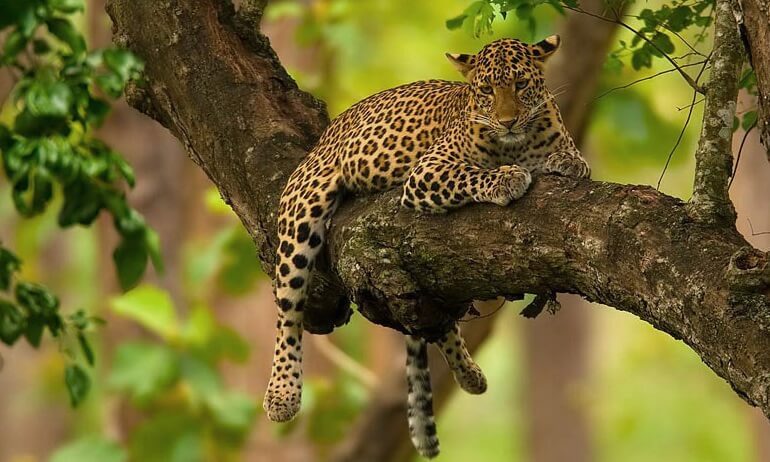 Nagarhole National Park is located at a 50 km (31 ml) from the major city of Mysore. It is situated between the two districts of Mysore and Kodagu in the state of Karnataka. The park stretches at the foothills of the Western Ghats spreading down the Brahmagiri hills and south towards Kerala state. River Kabini separates the Nagarhole National Park from the Bandipur National Park. 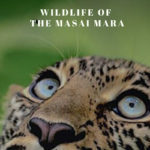 Lakshmana and Teentha rivers flow nearby the Nagarhole National Park and the entire park area is enveloped in greenery and flora with waterfalls adding to its beauty truly makes the Nagarhole National Park a beautiful habitat for wildlife animals. For Kabini (Nagarhole Mysore): Bangalore to Mysore Ring Road, Take a right onto Ring Road and take the Manatvadi Road exit (towards HD Kote), to HD handpost to Antharasanthe to Karapura. For Nagarhole (North), via Coorg: Bangalore to Srirangapatna, little further and right turn towards KRS to join Hunsur Road and take right onto Hunsur Road going towards Coorg. You can enter Nagarhole forest from three sides – from Hunsur, or from Kutta or from Thithimathi. 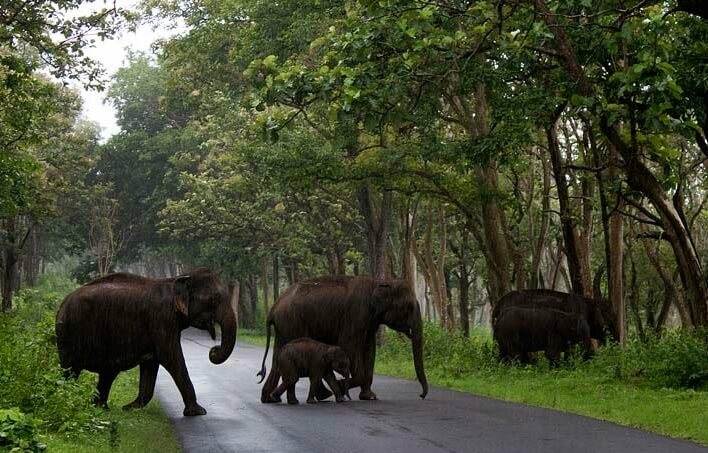 Please read this blog While at Coorg, make this amazing Nagarhole Drive. Biligiriranga Swamy Temple Wildlife Sanctuary (BRT) is situated in the Biligiriranga Temple Hills which is a hill range situated in south-eastern Karnataka, at its border with Tamil Nadu in South India. 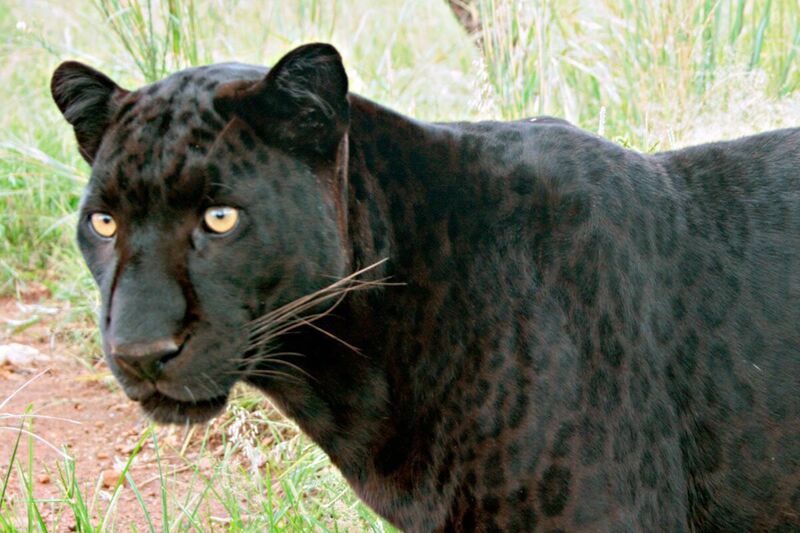 It is a protected reserve under the Wildlife Protection Act, 1973. Being at the confluence of the Western Ghats and the Eastern Ghats, the sanctuary is home to eco-systems that are unique to both the mountain ranges. Situated 180 Kms, South of Bangalore, the forests form an important wildlife corridor between the Western Ghats and the Eastern Ghats, linking the largest populations of Asian Elephants and tigers in southern India. The most conspicuous mammals are the herds of wild elephants. The BR hill has been a good place for viewing large game and at the same time encountering numerous smaller life forms. The forests have been famous for the Gaur, a large Asian bovid. There are about 26 species of mammals recorded in the sanctuary. The other mammals include sambar, chital, the shy barking deer which are quite common here and the rare four-horned antelope. 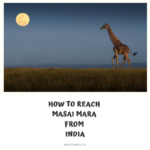 Mammals: Elephants, tigers, gaurs, sambar, chital deer, shy barking deer, rare four-horned antelope, leopards, wild dogs, lesser cats and sloth bears and three species of squirrels including the giant flying squirrel. Government of Karnataka has established the Bhadra Wildlife Sanctuary in the year 1951. The area covered in BWS was first declared as ‘Jagara Valley Wildlife Sanctuary’ by the then government of Mysore covering an area of 77.45 km2 (29.90 sq mi) in the year 1951. Later the coverage area of Jagara Valley Wildlife Sanctuary extended and renamed to Bhadra Wildlife Sanctuary after a systematic survey in the year 1974. The Wildlife Sanctuary declared as a Project Tiger Reserve in the year 1998. The 26 villages in the sanctuary were successfully relocated to M C Halli, which is 50 km away from the BWS, as a part of village relocation program during the years 1974 to 2002. Bhadra Wildlife Sanctuary is geographically located in northwest of Chikmagalur town in Karnataka state. This sanctuary has spread between Lakkavalli-Muthodi and eastern Bababudangiri regions in Western Ghats of India. BWS is a Project Tiger reserve covering an area of 492.46 sq. km (190.14 sq mi). Bhadra Wildlife Sanctuary has a wide range of flora and fauna and a popular place for day outings. The Hebbe Giri is the highest peak in the BWS with a height of 1,875 m (6,152 ft) above MSL. The BWS is surrounded by the hills and steep slopes of the Mullayanagiri, Hebbegiri, Gangegiri and Bababudangiri hills. Mammals: 35 tigers along with Elephant, Gaur, Sloth Bear, Wild Boar, Black Leopard, Jungle Cat, Jackal, Wild Dog, Jackal, Sambar, Spotted Deer, Barking Deer, Mouse Deer, Common Langur, Bonnet Macaque, Slender Loris, Small Indian Civet, Common Palm Civet, Pangolin, Porcupine, Flying Squirrel and the Malabar Giant Squirrel in the sanctuary. The small carnivores found in the BWS include Leopard Cat, Rusty-Spotted Cat, Ruddy Mongoose, Triped-necked Mongoose etc. Birds: 300 varieties of resident and migratory bird species in the BWS. Grey Junglefowl, Red Spurfowl, Painted Bush Quail, Emerald Dove, Southern Green Imperial Pigeon, Great Black Woodpecker, Malabar Parakeet, Hill Myna, Ruby-throated Bulbul, Shama, Malabar Trogon, Malabar Whistling Thrush, four species of Hornbill and Racquet-tailed Drongo etc. Reptiles: Common vine Snake, King Cobra, Common Cobra, Russell’s Viper, Bamboo Pit Viper, Rat Snake, Olive Keelback, Common Wolf Snake, Common Indian Monitor, Draco or gliding lizards and Marsh Crocodiles etc. Safari: The wildlife safari in Bhadra is conducted by River Tern Lodge in their Open jeeps. There is no safari undertaken by the Government. No private vehicle is allowed.There are two time slots when this safari can Morning(6:30 AM) and evening(4:30 PM). It is a two hour safari. Ticket prices are really very steep (RS 1250 per person). If you are staying elsewhere (& not in River Tern), ensure you call them and be there 30 minutes before the start of the Safari. How to get there: Take the Bangalore – Tumkur highway, and drive till Nelamangala and take Mangalore Highway Exit on the left left and continue on the Mangalore highway until you hit Channaraya Patna and after you cross take a right turn towards Arsikere and keep going to Arsikere to Kadur to Tarikere. After crossing Tarikere, take the left that also has a Kuvempu University direction board. Travel 14 km till you reach Lakkavalli. At Lakkavalli, you will find a sign board to the River Tern Lodge, which is about 4km away or other lodges at Tarikere or Lakkavalli. BTW Road until Channaraya Patna is simply amazing and you can cover from Bangalore until there in less than a couple of hours and if you plan properly, you can reach the destination under 5 hours. Alternate Route: From Bangalore: Drive towards Tumkur. Take the Shimoga bypass road at Tumkur (instead of going to Tumkur town) and cross Gubbi, Tiptur, Arsikere, Kadur, Birur, Tarikere. After crossing Tarikere, take the left that also has a Kuvempu University direction board. Travel 14 km till you reach Lakkavalli. At Lakkavalli, you will find a sign board to the River Tern Lodge, which is about 4km away or other lodges at Tarikere or Lakkavalli. 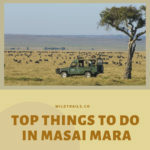 Dubare is NOT your traditional wildlife trip experience but more of a elephant training camp where you get to bathe & Feed elephants along with elephant rides which are all a big hit with children. It’s a forest camp on the banks of the river Kaveri in the district of Kodagu, Karnataka. It is an important base for the Karnataka Forest Department’s elephants. The elephants for the Mysore Dussehra were trained at Dubare elephant camp. At present, after logging operations have ceased, the elephants have been practically retired except for giving some rides to tourists. There are opportunities for trekking, elephant rides, fishing, and river rafting. These activities are hosted by jungle lodges and resorts. The Forest Department also conducts some treks along well-defined routes. Dubare itself is a patch of a forest in fact a deciduous forest that is richly endowed with a variety of wildlife, so it is not uncommon to spot herds of Sambar and spotted deer grazing on the banks of coming for a drink to the riverside. Another splendid sight that you will come across is that of Asiatic elephants taking a dip in the river or spraying themselves with dust. If river, you are lucky you may even spot the elusive crocodile basking in the sun. Dubare also offers a treat to bird lovers as it is home to a variety of birds like partridges, woodpeckers, kingfishers and many more. The pleasant chirping of birds and the humming of various insects can always be heard in the background. You may also find peacocks strutting around and proudly displaying their plumage as the sun sets, flocks of birds can be seen flying across the twilight sky, which adds a special touch to the beauty of the place. There is no Safari there but you get to trek in the wild along the river and a good place to spot animals, & birds. How to get there: Take the Bangalore – Mysore Highway;After Srirangapatna take a right towards KRS which joins Mysore-Hunsur Road and take a right onto Hunsur Side. After Hunsur go towards Periyapatna and then towards Kushalnagar and From Kushalnagar, head towards Gudde Hosur (4km from Kushalnagar on BM Road), then a left turn towards Siddapura. 15 km down the Siddapur Main Road, you’ll find the JLR Dubare Camp signboard. Take a left turn and about a kilometre drive would get you to the banks of the River Cauvery. Cross the river by boat and find yourself at the Dubare Elephant Camp.